Crow Killer was written by Raymond W. Thorp. Crow Killer was published by Signet. Subjects of Crow Killer include Fiction / General, and Fiction / Mystery & Detective / General. About Raymond W. Thorp (Author) : Raymond W. Thorp is a published author. 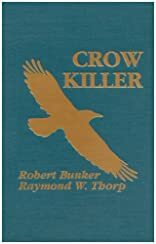 Some of the published credits of Raymond W. Thorp include Crow Killer.